Herrington, J., McKenney, S., Reeves, T. & Oliver, R. (2007). Design-based research and doctoral students: Guidelines for preparing a dissertation proposal. In C. Montgomerie & J. Seale (Eds. ), Proceedings of ED-MEDIA 2007--World Conference on Educational Multimedia, Hypermedia & Telecommunications (pp. 4089-4097). Vancouver, Canada: Association for the Advancement of Computing in Education (AACE). Retrieved April 24, 2019 from https://www.learntechlib.org/primary/p/25967/. Bannan-Ritland, B. (2003). The role of design in research: The integrative learning design framework. Educational Researcher, 32 (1), 21-24. Barab, S., & Squire, K. (2004). Design-based research: Putting a stake in the ground. The Journal of the Learning Sciences, 13 (1), 1-14. Berliner, D. (2002). Educational research: The hardest science of all. Educational Researcher, 31(8), 18-20. Edelson, D.C. (2006). Balancing innovation and risk: Assessing design research proposals. In J. Van den Akker, K. Gravemeijer, S. McKenney& N. Nieveen (Eds. ), Educational design research (pp. 100-106). London: Routledge. Gay, L.R. (1992). Educational research: Competencies for analysis and application (4th ed.). New York: Merrill. Herrington, J. (1997). 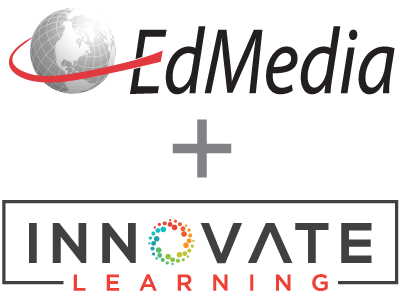 Authentic learning in interactive multimedia environments. Unpublished PhD dissertation, Edith Cowan University. Krathwohl, D. (1993). Methods of educational and social science research: An integrated approach. New York: Longman. Linn, M., Davis, E. & Bell, P. (2004). Internet Environments for Science Education. London: Lawrence E arlbaum Associates. McKenney, S. (2001). Computer-based support for science education materials developers in Africa: Exploring potentials. Unpublished doctoral dissertation, University of Twente, The Netherlands. McMahon, M., & Oliver, R. (2004). Design experiments as a research methodology for innovation in ICT. L. Cantoni& C. McLoughlin (Eds. ), Proceedings of EdMedia 2004: World Conference on Educational Multimedia, Hypermedia& Telecommunications (pp. 3251-3257). Norfolk, VA: AACE. Phillips, D.C. (2006). Assessing the quality of design research proposals: Some philosophical perspectives. In J. Van den Akker, K. Gravemeijer, S. McKenney& N. Nieveen (Eds. ), Educational design research (pp. 93-99). London: Routledge. Reeves, T.C. (1999). A research agenda for interactive learning in the new millennium. In P. Kommers& G. Richards (Eds. ), World Conference on Educational Multimedia, Hypermedia and Telecommunications 1999 (pp. 15-20). Norfolk, VA: AACE. Reeves, T.C. (2000). Socially responsible educational research. Educational Technology, 40(6), 19-28. Reeves, T.C., Herrington, J., & Oliver, R. (2004). A development research agenda for online collaborative learning. Educational Technology Research& Development, 52 (4), 53-65. Shulman, L., Golde, C., Bueschel, A. & Garabedian, K. (2006). Reclaiming education’s doctorate: A critique and proposal. Educational Researcher, 33 (3), 25-33. Wang, S-K, & Reeves, T.C. (2006). The effects of a Web-based learning environment on student motivation in a high school earth science course. Educational Technology Research and Development, 54(6), 597-621.